Stuart M. Shieber, the James O. Welch, Jr. and Virginia B. Welch Professor of Computer Science at the Harvard John A. Paulson School of Engineering and Applied Sciences (SEAS), has been named a fellow of the Association for Computational Linguistics. The Association for Computational Linguistics is an international scientific and professional society for people working on computational problems involving human language. Their fellowship program recognizes ACL members for extraordinary contributions to the field and service to the community with broad impact. 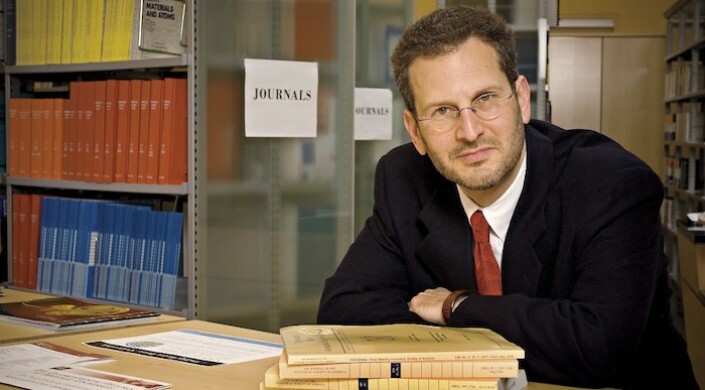 Shieber’s interdisciplinary research connects a wide range of fields, from linguistics and theoretical computer science to philosophy, psychology, and artificial intelligence. Shieber's work has advanced the mathematical foundations for language processing tasks such as natural-language question answering and machine translation, and has provided new methods and algorithms for solving such problems as well. His current research on synchronous grammars for describing the relations between languages has application in a variety of natural-language-processing areas, such as machine translation and sentence compression. As Faculty Director of Harvard's Office for Scholarly Communication, Shieber has also led Harvard’s efforts to institute open-access policies that are now emulated elsewhere. He was the founding director of the Center for Research on Computation and Society and is a co-director of the Berkman Klein Center for Internet and Society. A 1981 graduate of Harvard College, Shieber earned his Ph.D. at Stanford University in 1989. Shieber is also a Fellow of the American Association for Artificial Intelligence and a Fellow of the Association for Computing Machinery.